Home Blog Fishing, Beer, Merica. We know how we’re spending this 3 day weekend – and we brought some epic savings inspired by it. 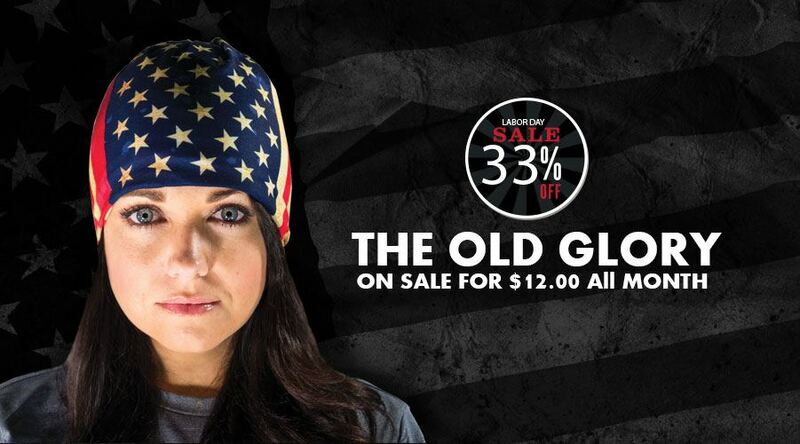 From $12 Hoo-rags and $5 bottle openers and one totally Merica package – scroll down to see the All American Savings. This American-themed Grand Slam Hoo-rag features permit, tarpon and bonefish in a rad red, white and blue design and it’s on sale for only $12 this weekend. 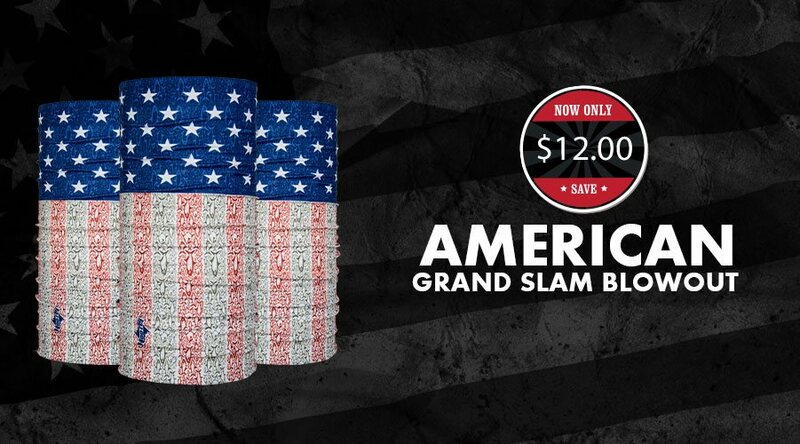 Rock this rag to show off your ‘Merica pride while attempting the slam. The numero uno, best-selling Hoo of all time is on sale for only $12. Grab one for yourself, your bff and even your dog at this price. 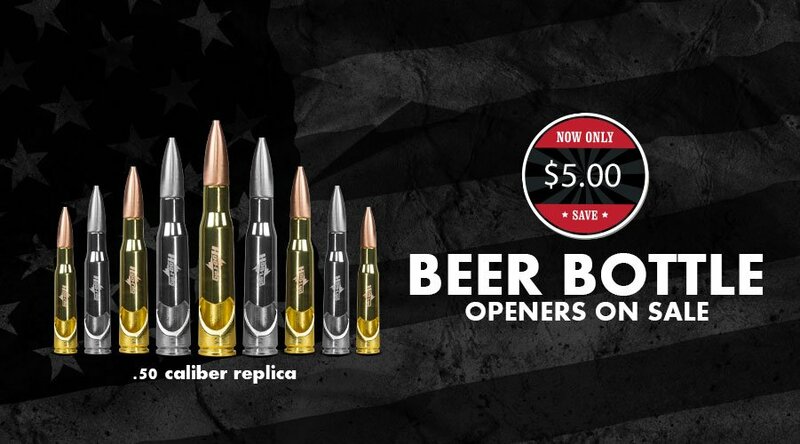 These .50 caliber bullet bottle openers look so real we recommend leaving them at home when flying or heading to school! Add one for only $5 to your order and ensure you’re poppin’ bottles quicker than you can “Hoo-rag”. All weekend long get this Labor Day Package- or as we like to call it ‘The LDP’- for only $37.50. Purchased separately these bad boys would cost you almost $52, but with the LDP you get all 3 for over 25% off. 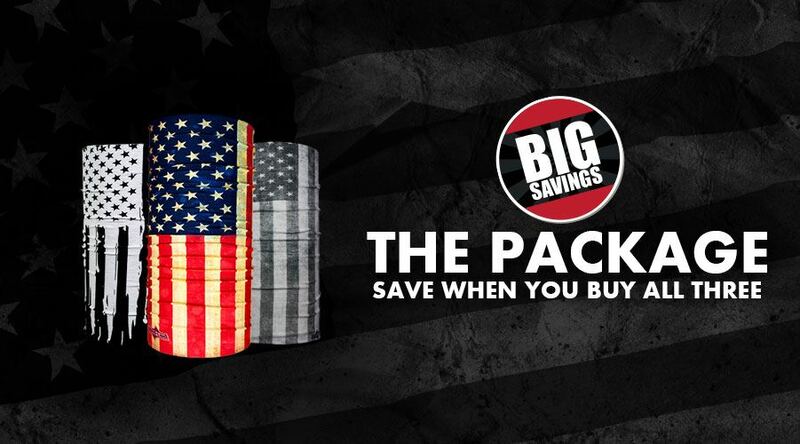 Show off your patriotism in the raddest way with this package. 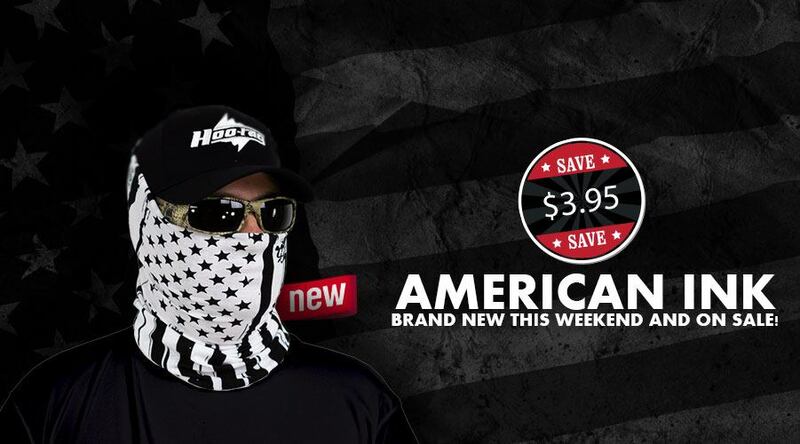 The brand spankin’ new American Ink Hoo-rag is black and white with just the right dose of Freedom. Get it on sale for this weekend only for $12. 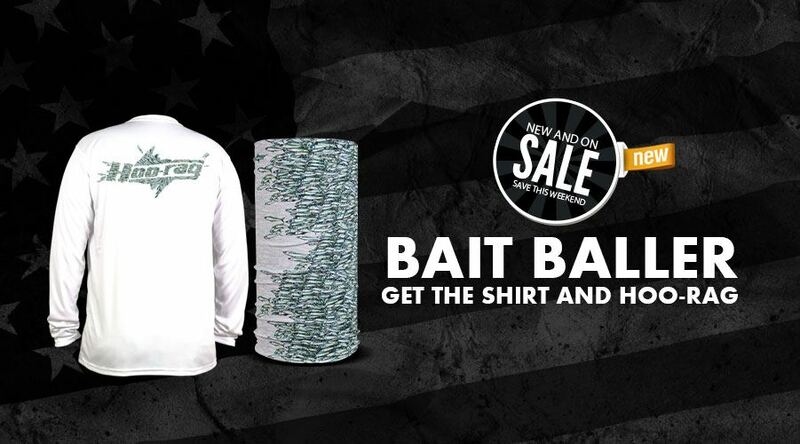 This limited time package deal includes the brand new Bait Baller Performance Shirt and matching Bait Baller Hoo-rag. This ball of bait swag is ready to keep you protected from the sun’s harmful rays while you are out doing the things you love.